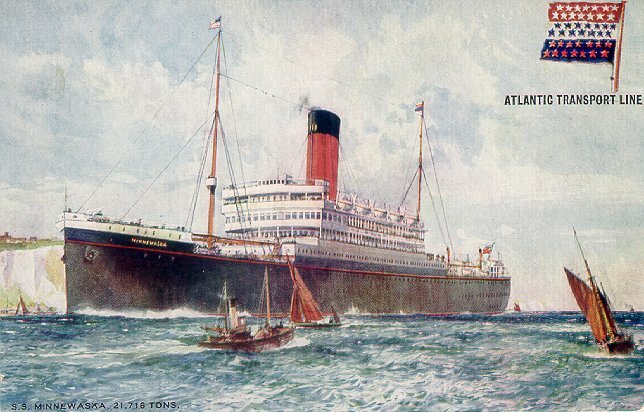 Atlantic Transport Line's fourth Minnewaska was built by Harland and Wolff, Belfast. Launched in 1923, she made her maiden voyage from London to New York on 1 September of the same year. Although she had accommodations for 369 first class passengers, she was primarily a cargo carrier; the largest afloat at 21,716 tons. ATL's business was severely affected by the Depression and by 1932 all of its ships were either laid up or disposed of. 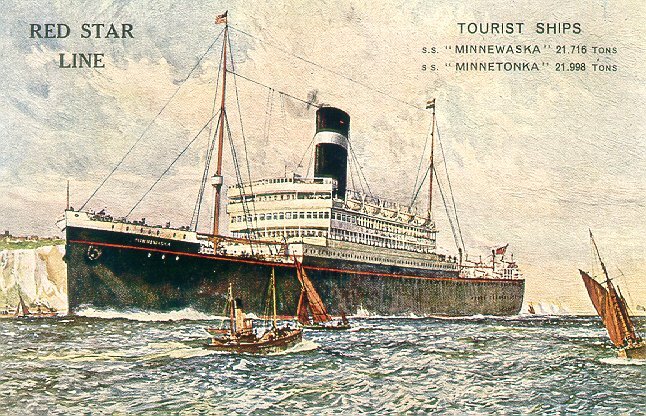 Minnewaska earned the sad distinction of being the last ship to carry ATL's colors before being transferred to Red Star. She made her first Red Star voyage, Antwerp-New York, on 13 May 1932, but by the fall of 1933, she was no longer needed by Red Star, either. Her last Atlantic crossing was in September 1933, and she was scrapped in 1934. Minnewaska and her sister Minnetonka were in service barely ten years, among the shortest careers of any major Atlantic liner.